A brand identity for SEN5E, an online educational tool, focuses on the understanding and building of five-dimensional branding. 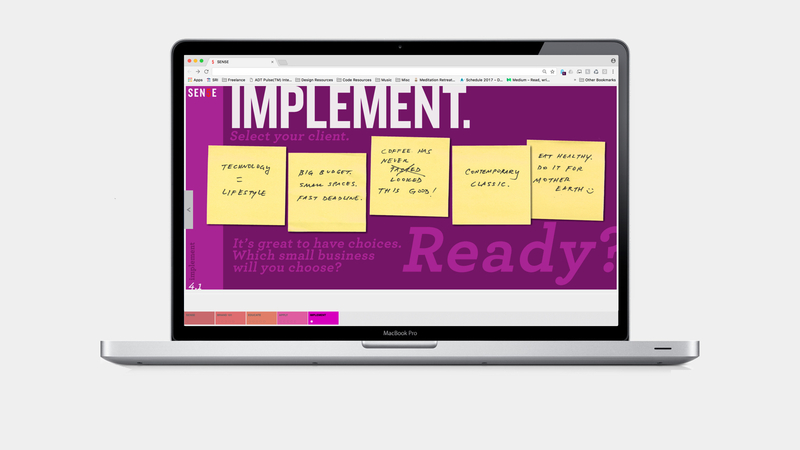 SEN5E is an online tool built for undergraduate design students to understand how to build brands based upon sensory cognition. The interactive site features information on sensory branding, as well as how to apply sensorial models to an existing brand in order to build multisensory experiences. The project was an extension of Shawn Meek's MFA Thesis work, which was tested in an academic setting to support research, evidence and the topic of Sensory Branding. Did you know that 83% of what we understand on a daily basis is supported by sight alone? That only leaves a mere 17% to be battled by taste, touch, smell and sound. SEN5E was tested on a various undergraduate students to gauge their knowledge of sensory branding. How can five-dimensional branding change the way visually or sound impaired consumers interact and understand brand awareness? As users dive into the tool, they are greeted with a series of knowledge points that guide the understanding of sensory branding. 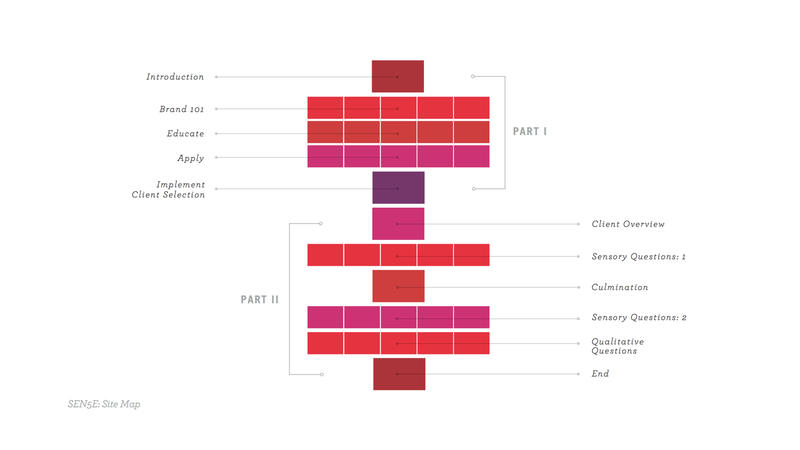 Once a client is selected, users are then tasked with answering a series of questions to aid in building an unknown brand’s sensory capabilities. What type of brand experiences do you rely on when visiting specific environments? How can brands utilize their true sensorial potential in consumers’ daily interactions? Can a small business utilize sensory branding efforts better than a large business? What do you think?